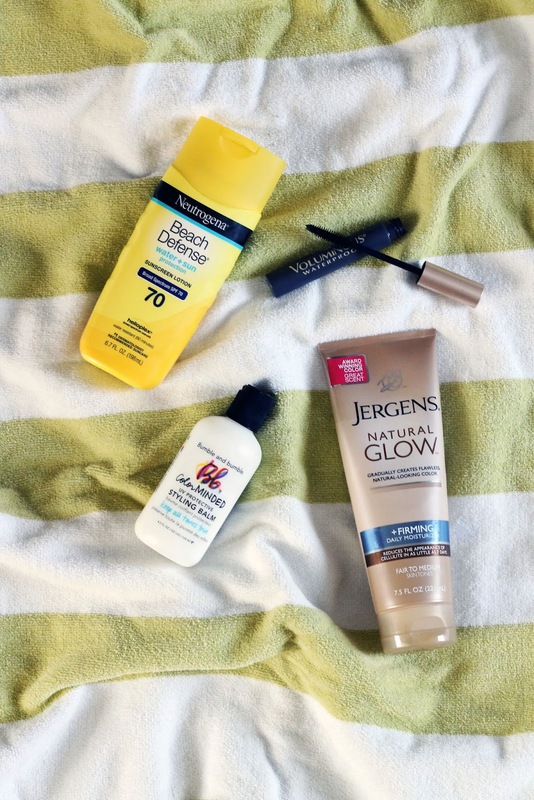 I use the majority of the same products in the year round, but add a few necessities for the summer. Finding products that last through heat and humidity can be hard so I've listed a few of my summer beauty favorites below. Let me know what products you use to keep your skin protected and prepped for summer. Neutrogena Beach Defense Sunscreen I've been a devoted Neutrogena sunscreen user since high school. It was the only sunscreen that protected my fair skin while lifeguarding. It has a neutral scent (no coconut/banana smell) and is non-greasy. It can easily be worn under clothing without having to worry about it rubbing off. Plus, I've used it on my face at the beach and have not suffered from any breakouts. L'Oreal Voluminous Waterproof Mascara If I know I'm going to be outside for an extended amount of time I will use this waterproof mascara. It stays put through sweaty afternoons and trips to the beach. It also gives tremendous volume and length to your lashes. Jergens Natural Glow Daily Moisturizer I have fair skin so I tend to be leery of most self tanners, afraid that they will make me look orange. This is a self tanner and moisturizer that builds natural looking color. I apply it every other day to add a little warmth to my complexion. I like it because it never streaks and it has fairly subdued scent so you don't smell like fake tanner. Bumble and Bumble Color Minded UV Protective Styling Balm My hairdresser suggested this styling balm to me a few years ago when Bumble and Bumble first launched the Color Minded line. It helps protect colored hair from fading and ads softness and volume. You can use this product year round, but it is a little heavy for my thin hair so I only use it during the summer to protect my hair from damaging UV rays. I use that mascara and lotion religiously! Great products. I've been using both for years. They really are great products.